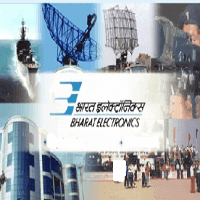 BEL Recruitment 2019: Bharat Electronics Limited, invites application for Software Engineers, 150 Trade Apprentices, Short Term Apprentice in various trades & Senior Engineer. The detailed eligibility and application process are given below. About Bharat Electronics Limited: BEL is a State-owned Aerospace and Defence company headquartered in Bangalore, Karnataka and established in the year of 1954.BEL has nine factories and few regional offices across the country.It manufactures advanced electronic products for the Indian Armed Forces.BEL listed one of the nine PSU-Public Sector Units by the government of India and it has Navaratna Status.BEL factories/units presented in Bangalore (corporate head office and factory),Chennai,Panchkula (Haryana), Kotdwar(Uttarakhand),Ghaziabad(Uttar Pradesh),Pune,Hyderabad,Navi Mumbai support centre,Machilipatnam(Andhra Pradesh).if you want more details about BEL you can check www.bel-india.com > About Us section. BEL announces their vacancies through the Careers section of their official site bel-india.com and also the leading Newspapers.BEL recruit the candidates on the permanent basis (BEL Probationary Engineers) and Temporary Basis(Contract Engineers). BEL also conducts the direct walk-in interview to select the qualified candidates. 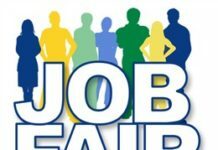 At present, BEL announced vacancies for Software Engineers, Short Term Apprentice, Trade Apprentices, Senior Engineers. Eligible candidates apply for this position through online/postal. Application Form can be downloaded from the BEL website (ww.bel-india.in). 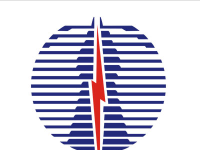 If you are engineering graduates you can try for BHEL Recruitment 2019. M.E/M.Tech in Information Technology/ Information Science/Computer Science with prior B.E/B.Tech Degree in Computer Science, Information Science, Information Technology. First class for Un-reserved Candidates and Pass Class for SC/PWD candidates from an AICTE approved College/Institute or a recognized University. Note: Candidates who have not completed BE/B Tech./ME./MTech need not apply. Selection will be through a Written Test (objective type questions in mentioned disciplines), followed by Interview (only for those candidates who will be shortlisted based on their performance in the written test). How to apply BEL Recruitment 2019 for Software Engineers? All interested and eligible candidates can send duly filled application form along with required documents to the following postal address on or before 1 May 2019. Jalahalli Post, Bengaluru – 560 013. ITI passed in Electrician, DMM, PASAA, Turner, Welder, Machinist and MR&AC trades on or after 01-06-2016. Candidates will be selected based on the performance in the written test only. All interested and eligible candidates can attend campus selection at the following venue on 26 April 2019 to 30 April 2019. Venue Locations: Government ITI Colleges at Hubballi (Vidhyanagar), Bidar (Mannalli Road), Mysuru (N.R.Mohalla), Chikamagaluru (Jyothi Nagar), Bagalkot (Nava Nagar) & Mangaluru (Kadri Hills). Educational Qualification: Candidates passed ITI Training under NCVT only with at least 60% marks for General and OBC Candidates and at least 50% marks for SC, ST & PWD candidates, from recognized ITI’s in last three years. Candidates should have registration number [provided by MIS portal]. Shortlisting of candidates for Written Test/Interview will be based on final percentage marks obtained in ITI of candidates. All interested and eligible candidates can apply for Apprentices vacancies through Govt. Apprenticeship portal latest by 22 April 2019. Full time BE (Civil) or B.Tech (Civil) / AMIE/GIETE in concerned discipline from AICTE approved College/institute or a recognized University. First Class for General & OBC candidates and Pass for SC/ST/PWD candidates. Experience: Min.4 years of experience in site execution, estimation, coordination, quality control, billing etc. maintaining site records, knowledge of CPWD specifications and IS codes. Candidate should have handled contract and closing of projects. Candidates should have knowledge and proficiency in use of computers. How to apply BEL Recruitment 2019 for Sr Engineers? Step 1: All interested and eligible candidates can send duly filled application form along with required documents to the following postal address on or before 24 April 2019. Step 2: All the candidates have to send their details in excel sheet in the format (refer ANNEXURE-A) at email: hrbelgad@bel.co.in (The subject of the e-mail should be-Application for the post of Sr. Engineer (Civil)) latest by 24 April 2019.